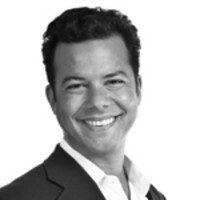 People protesting against spending cuts offer no solutions in what is a policy-free event, says John Avlon. This was the voice of “the man”—in this case, a police officer with a megaphone—on the opening night of the Occupy Wall Street protests, two weeks ago. I view all this from a local perspective. I live two blocks from Ground Zero, around the corner from the appropriately named Liberty Park, where the professional protesters have literally set up camp. Before this weekend’s arrest of 700 protesters for blocking traffic lanes on the Brooklyn Bridge, these protests have been peaceful, a mutual kabuki, more of a counterculture parade than a civil rights march, despite the desire to recreate that sense of purpose. There are, of course, plenty of reasons to be angry at the high-finance bailout culture that helped cause the enduring economic crisis. But the "be-in" lack of focus has not helped their cause—and the 9/11 Truther sign I saw that first night across the street from Ground Zero did not do much to endear their effort to me. These protesters have the trappings of anarchists with Apple computers—they are earnest and know how to play for the cameras. They have internalized slogans that capture emotions but are too often unrelated to solutions. And that is a lost opportunity. Because, while social democrats stereotypically offer an endless supply of programmatic solutions, these protests seem to be occurring in a policy-free zone. For example, one frequent battle cry is “replace capitalism with democracy”—which sounds great, but makes not a lot of sense. After all, one is an economic system and the other a political system. Recently, the throng released a manifesto (fairly annotated here by Henry Blodget). 1. We want an end to the glamorization of negativity in the media.2. We want an end to status symbols dictating our worth as individuals.3. We want a meaningful universal education system. 4. We want substance in the place of popularity.5. We won’t compromise.6. We want invisible walls that separate by wealth and race and class to be torn down.7. We want to think our own thoughts.8. We will be responsible for our environment.9. We want clarity/truth from our elected officials or they should step aside.10. We want an end to all wars.11. We want an end to the processed culture of exploitation & over-consumption. Right. Well, pass the dutchie on the left hand side. But if you want to know why these protests aren’t being taken seriously by more people, sincere signs like this are a good reason. And I’m trying to apply an even standard: when I covered the conservative populist Tea Party rallies, the home-made signs told a truth that was often uncomfortable to participants and organizers alike. They proved such a distraction that Glenn Beck ultimately tried to ban home-made signs at his August 2010 rally on the Washington Mall. The same rules should apply to this liberal populist rally. The shame of it all is that there are real issues about corruption and collusion and economic malpractice that should have people angry and purposeful in a politically constructive way. But the 300-plus Tea Party rallies that occurred on Tax Day in the spring of 2009—even while pumped up by promotions on Fox News and funded in part by special interest groups—could not have occurred without popular support. The numbers of Wall Street protesters swelled considerably over the weekend, and the presence of union workers have helped kick the organization of the protests to a higher level. But the fact remains that the weekday marches I have seen do not take up more than a city block—their participants number in the low hundreds, not thousands. And while the Tea Party helped turn the 2010 elections into a GOP landslide, the impact of these protesters on 2012 is much less clear, though they presumably are looking for an anti-Obama/Ralph Nader-redux. And never forget that Nader won 98,000 votes in Florida the year Bush won the state by 537 votes. Occupying Wall Street will likely continue at least until the weather gets cold. Among its other contributions, it might cause us to have a civic conversation about whether there is a right to sleep indefinitely in a public park. Peaceful civil disobedience is a time-honored tradition that civil societies accommodate. But as they dance along the line between protest and provocation, these people might ask themselves a truly deep question—whether they’ll end up alienating more people than they attract.